The genetic programming (GP) paradigm is a new approach to inductively forming programs that describe a particular problem. 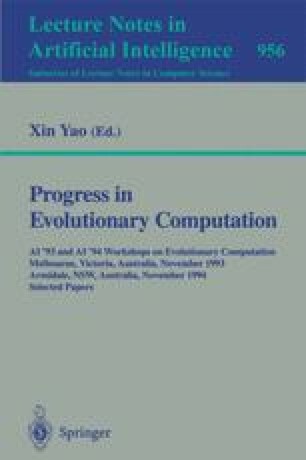 The use of natural selection based on a fitness function for reproduction of the program population has allowed many problems to be solved that require a non-fixed representation. Issues of typing and language forms within the genetic programming paradigm are discussed. The recursive nature of many geospatial problems leads to a study of learning recursive definitions in a subset of a functional language. The inadequacy of GP to create recursive definitions is argued, and a class of problems hypothesised that are difficult for genetic approaches. Operations from the field of Inductive Logic Programming, such as the V and W operators, are shown to have analogies with GP crossover but are able to handle some recursive definitions. Applying a genetic approach to ILP operators is proposed as one approach to learning recursive relations.